A gunman killed 12 people including a sheriff's deputy after he walked into a Southern California bar and started shooting late on Wednesday night, police said. 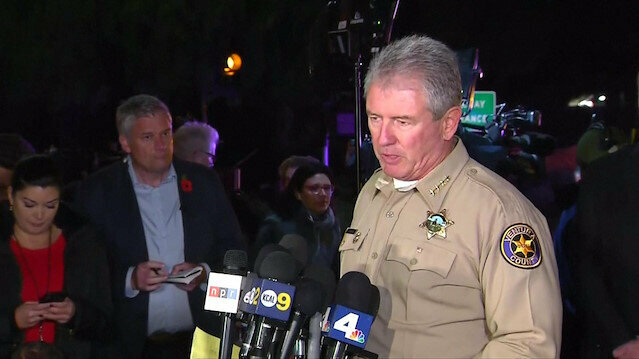 The gunman was also killed, Ventura County Sheriff Geoff Dean told a news conference early on Thursday, though it was not immediately clear by whom. 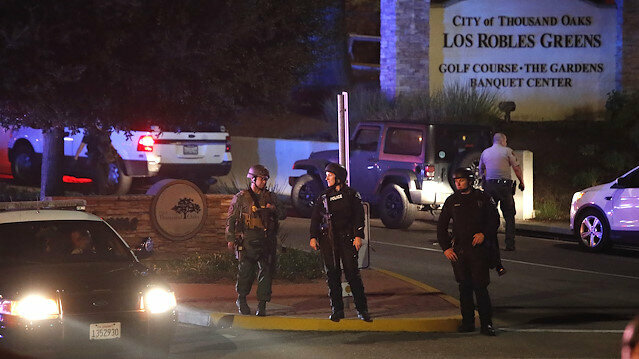 An unknown number of people were wounded during the attack at the Borderline Bar and Grill, a country & western venue in the Los Angeles suburb of Thousand Oaks. 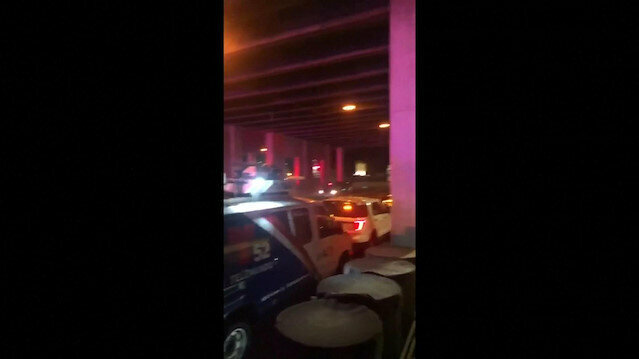 Officials said shots were still being fired when the first officers arrived at the scene. The dead officer was identified as Sergeant Ron Helus, a 29-year veteran of the department, Dean told reporters. Helus and a California Highway Patrol officer were the first to arrive at the bar and went inside just before 11:30 p.m. PST (0730 GMT). After a lull of about 15 minutes, more officers went inside and found the suspected gunman dead of a gunshot wound. It was not clear whether he killed himself or was killed by officers, Dean said. It was the latest mass shooting to rock the United States, six days after the death of two women at a yoga class in Tallahassee, Florida and 12 days after an anti-Semitic gunman entered a synagogue in Pittsburgh and killed 11 worshippers. President Donald Trump, who has resisted a surge in calls for tougher gun controls since 17 students were shot dead at Stoneman Douglas High School in Florida earlier this year, said on Twitter that he had been "fully briefed on the terrible shooting in California." Several people were wounded when a man walked into a Southern California bar and restaurant just before midnight on Wednesday and started shooting, according to news reports and social media accounts. Witness John Hedge told ABC News he was near the front door of the California bar when the shooting began. "I just started hearing these big pops. Pop pop pop," he said. "There was probably three or four. I hit the ground. I look up. The security guard ... was shot, he was down. The gunman was throwing smoke grenades all over the place. I saw him point to the back at the cash register and he just kept firing." Dean estimated that 10 to 15 people, including one with a gunshot wound, had gone to area hospitals. He said he thought their injuries were minor, and that most of them were likely injured as they escaped, some by breaking windows. "There were people hiding in restrooms, people hiding in attics," Dean said. Dean said that the shooter had a handgun and that at this early stage in the investigation he believed he had only one gun. Witnesses described a rapid sequence of shots that it made them think he was using a semi-automatic weapon. Thousand Oaks was named the third-safest city in the United States for 2018 by the website Niche. "I’ve learned it doesn’t matter what community you’re in," Dean told reporters when asked if he was surprised this happened in Thousand Oaks. "It doesn’t matter how safe your community is. It can happen anywhere." Taylor Von Molt, 21, told CNN that the shooter was wearing what looked like a bandana and a hoodie and was a burly man. She said she was part of a group of line dancers that met at the bar for a college night every Wednesday. None of the civilian victims were identified. Helus died while being treated at an area hospital several hours after he was shot, Dean said. A gunman killed 12 people, including a deputy sheriff, when he opened fire in a bar in Southern California on Wednesday night, Ventura County Sheriff Geoff Dean said on Thursday..